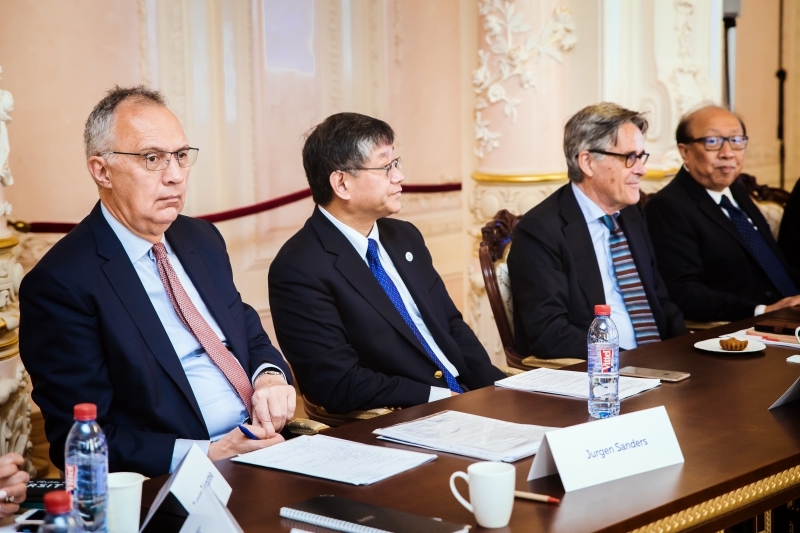 The 8th International Council meeting welcomed two new members: Dr. Sijbolt Noorda, President emeritus of the University of Amsterdam, and Dr. Wei Zhao, Chief Research Officer at the American University of Sharjah. “From this meeting I see a brighter future of higher education and technology development in this region, because I observe the energy and motivation and friendly environment of this university,” shared Dr. Wei Zhao towards the end of the final meeting. 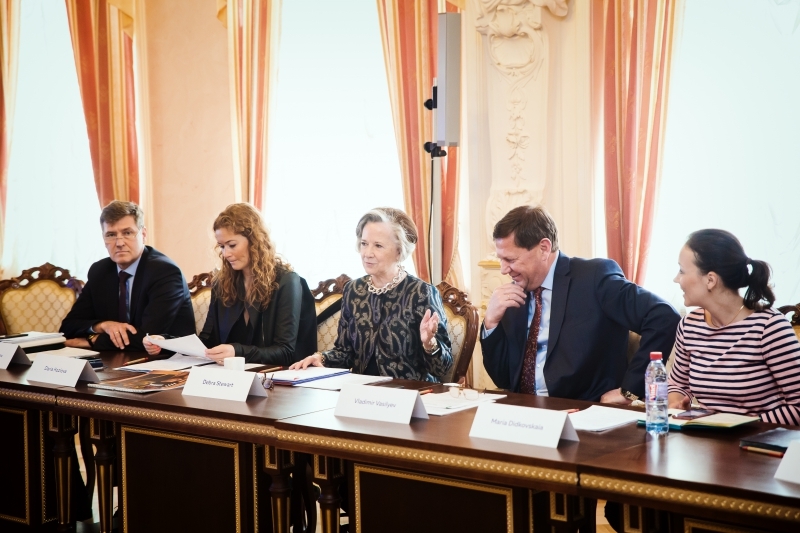 As has been the practice of the past few meetings, upon their arrival in St. Petersburg the Council members explored different aspects of the University through pre-meetings and discussions, therefore gaining an appreciation of the university’s reality at a deeper level. This year’s pre-meetings included a review of some of the key research areas at ITMO University with presentations by representatives from several laboratories such as the Cyber-physical Systems laboratory, Photoprocesses in Mesoscopic Systems laboratory, Computer Technologies laboratory, Solution Сhemistry of Advanced Materials and Technologies laboratory, Institute of Translational Medicine, and the Laboratory of Hybrid Nanophotonics and Optoelectronics. Council members asked pertinent questions regarding the research areas and were impressed by the youthfulness and vitality of the presenters. One of the highlights of the pre-meetings was the space created for students of the university to meet with the international council members. This fruitful meeting included both helpful advice and experience from the council members about student life and opportunities for the future. The topics that were touched upon during the meeting included: the role of PR in promoting the university, how to popularize science, teaching and learning styles around the world, opportunities for careers abroad, how to create a coherent and varied student life, the importance of the English language and other foreign languages for students’ futures, and how to integrate international students into the local reality, which was acknowledged as an ongoing challenge in most universities around the world. The previous meeting of the International Council, held in Tucson in November 2017, focused mainly on ITMO’s roadmap till 2020, the transformation of education at the university and ITMO’s new Highpark campus. The theme of this year’s meeting was “Ecosystem of ITMO University”. “Today was my first meeting of the International Council of ITMO and it was a great pleasure to be here, especially because I have once again experienced how this university is a great, energetic, youthful place to be, I can imagine why students come here, why young researchers want to join and why ITMO is such a place of passion in the world of technology. I look towards the future of ITMO development with the greatest degree of confidence,” said Dr. Sijbolt Noorda. To kick off the meeting, the Vice Rector for Research, Vladimir Nikiforov, outlined ITMO’s plans for awarding its own PhD and Doctor of Science degrees, which the members of the Council commented on. Later in the day, the university’s cooperation with business was explored, where issues surrounding IP, patents and licensing were examined, as well as valuable ideas for working with industry. 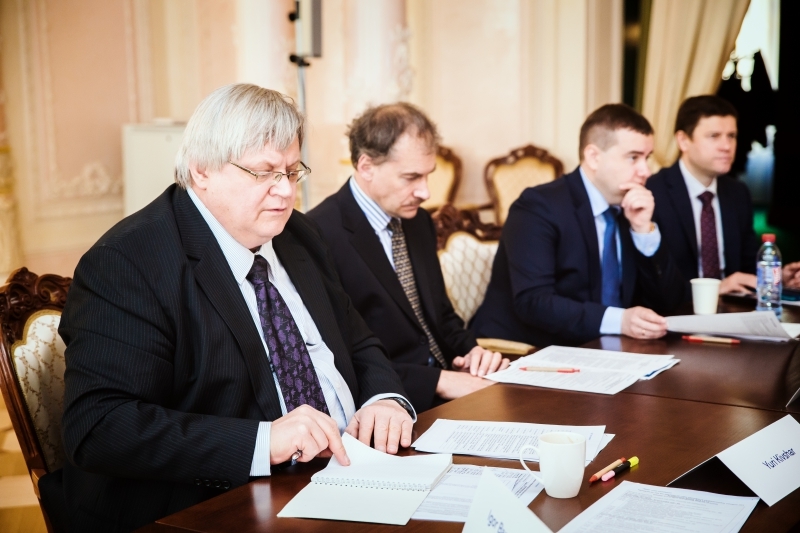 The meeting ended with a discussion of how ITMO sees itself in 2027, that is, what it will offer the world in less than ten years. The members encouraged the university to prepare a strategic plan to accompany the unique profile, and to think about a further change in culture as it strives to achieve these aims. The next meeting will be held in November 2018, in Amsterdam.